This outfit is based on 16th century Indian clothing. 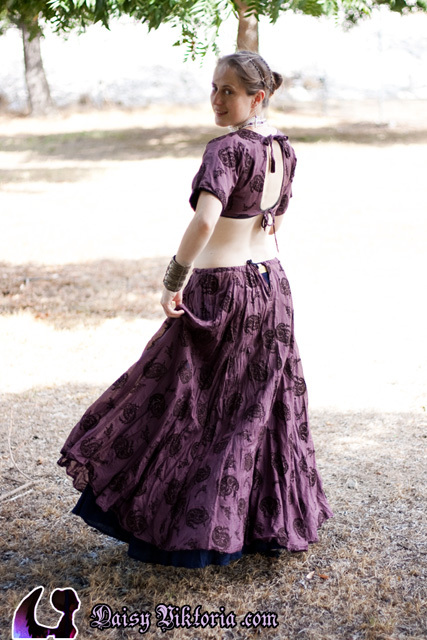 The choli and skirt are made of patterned silk, and an underskirt is also worn. This outfit can also be worn with a sari.